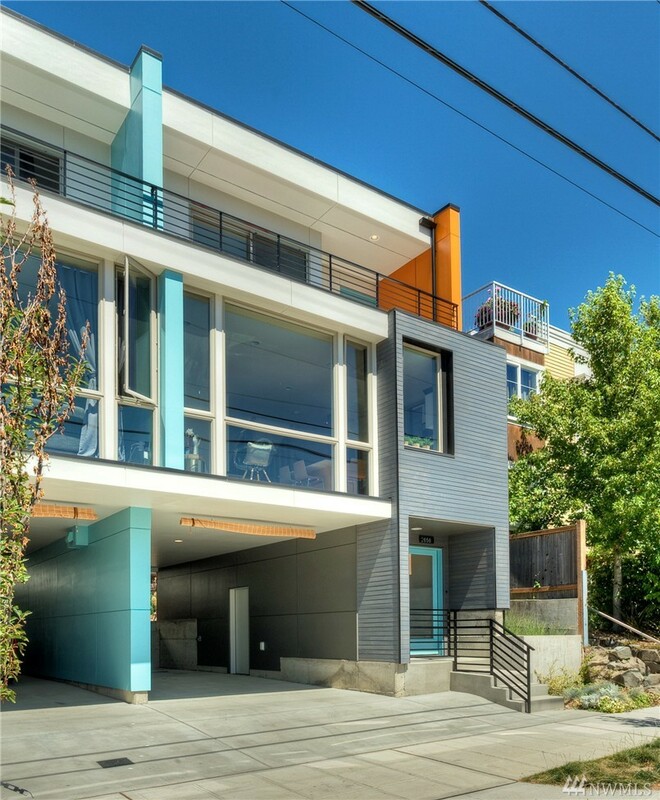 If you have a love for color, this might be “the one.” Located at 2658 NW 59th Street in Ballard, this townhome was designed by local architectural firm, Playhouse Design Group, who has designed many new townhomes these past few years. 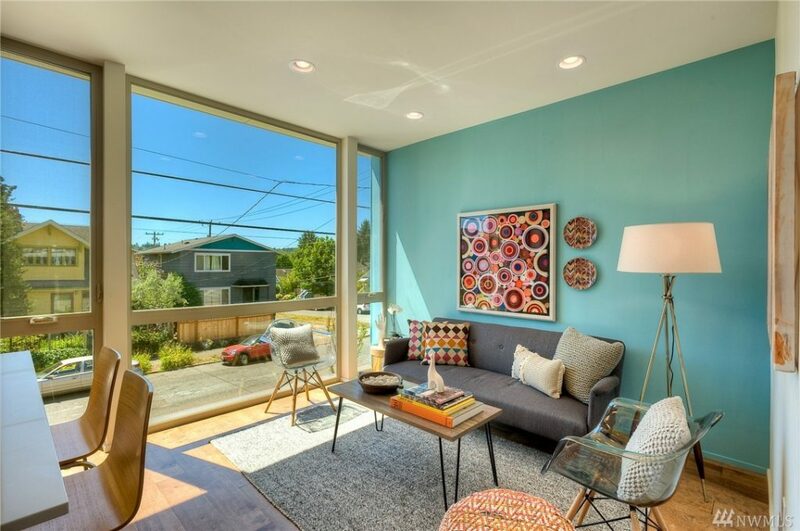 The 2 bedroom, 1.75 bathroom home is modern with a twist of 70’s mid-century flair. 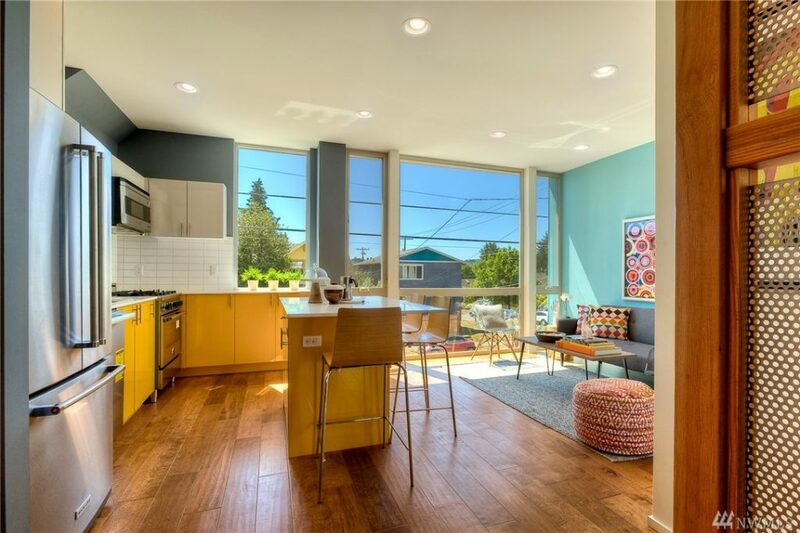 There are several of unique features that give the 1,251 square foot home character – including the bright yellow cabinetry, green tile work, and sheer wood paneling along the staircase. 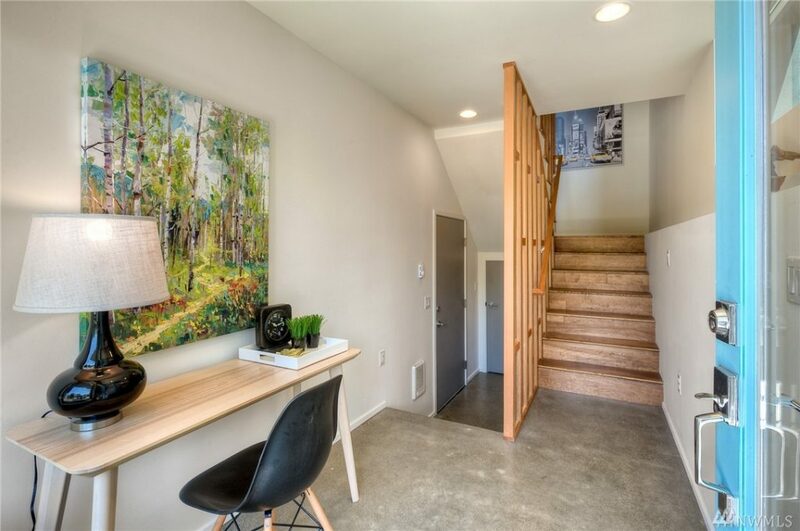 The unit is full of light, especially in the main living area where a wall of windows looks out into the neighborhood, and it includes two private decks for ending your day with a cocktail. Feels very Mad Men-esque. 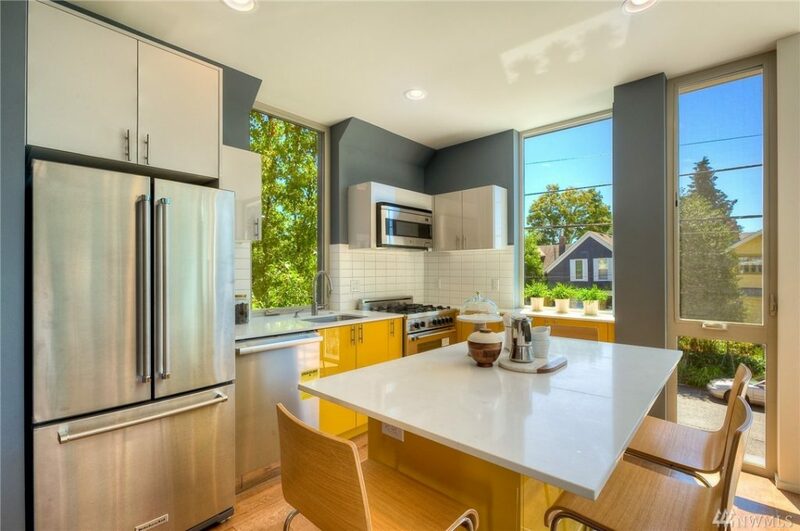 The home is listed for $725,547.